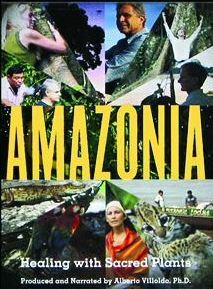 Amazonia chronicles the work of the master shamans of Peru's Madre de Dios River in the Amazon watershed. Dr. Villoldo explains the process and theory of the powerful brew made by the shamans known as Ayahuasca - the vine of the souls. Shot completely in High Definition by director Miguel Heded Abraham, the power and beauty of the virgin jungle transports the viewer into Amazonia and shares the wisdom of its healers.